What do you do when you receive a chain email with information that doesn’t seem quite right to you? You know, those emails alleging illegal drug use by an upstanding citizen, a president cavorting with terrorists, or a heinous tax about to be imposed on an unsuspecting public. Here’s what you should do: Check them out before you circulate them any further. Usually, they’re bogus, or they’re exaggerated and embellished for effect. Truthorfiction.com. This site promotes itself as the place to turn to get the truth about rumors, inspirational stories, virus warnings, scams, humorous tales, pleas for help, urban legends, prayer requests, calls to action and other forwarded emails. 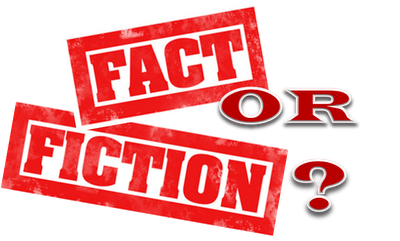 To dig in to what’s fact and what’s fiction in the matter of healthcare reform, click here. Snopes.com. This site is often included in “Best of the Web” lists. It began as a site to verify or debunk urban legends, but it has grown into much more. If you’ve been wondering what to believe about bedbug infestation, click here. Breakthechain.org. I received an email recently about a prison minister who put an imam to shame and, in the process, proved that Islam is an inherently violent religion. Click here for Breakthechain’s take on the email, which, you’ll notice, has been circulating around since 2004. Sometimes these emails are amusing, but often they’re malicious, spreading falsehoods to tear someone’s reputation apart. It’s so easy to buy into the content when you dislike or disagree with someone being portrayed negatively, but if the information is wrong, then you’re wrong to do so. As Bernard Baruch said, “Every man has a right to be wrong in his opinions, but no man has a right to be wrong in his facts.” Now, go use these sites, and comment about your favorites too. This entry was posted in Communications, Politics, Religion, Society and tagged breakthechain.org, critical thinking, fact, lie, snopes.com, truthorfiction.com. Bookmark the permalink.